Extraordinarily beautiful, expertly crafted, endless play possibilities. Great for mind-expanding fun, perfect for introducing color harmonies and natural beauty. 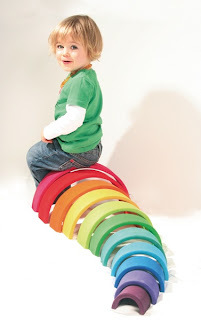 These classic rainbows are wonderfully versatile - tunnel the pieces, telescope them, stack them, use them together or individually as caves, walls, bridges, tunnels, seesaws, fences, houses, beds, vehicles... anything A 'spiel gut' award winner and one of our all time favorites. 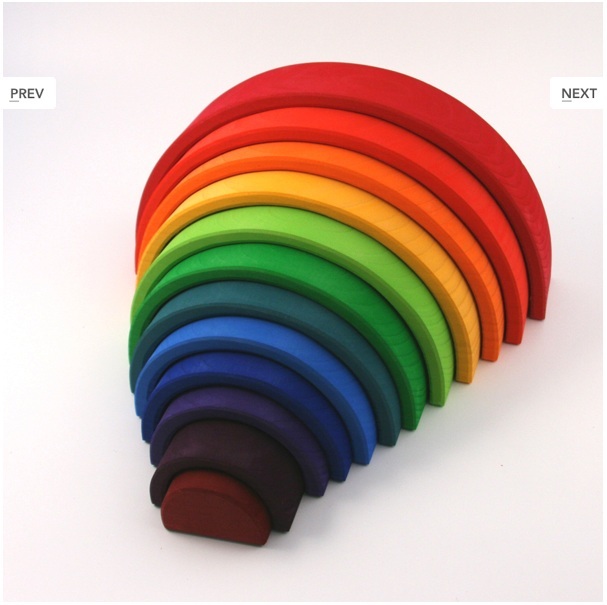 Solid german alder wood colored with non-toxic water based dyes. Best for kids 2 and up.